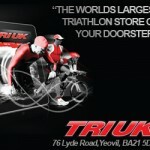 A fast and furious triathlon event set up in a time trial format. The event is designed to appeal to all types of athlete – ideal to sharpen up your speed for the longer events or if you have never done a triathlon before to practise those transitions and find out how your legs feel trying to run off the bike. Immediately following the adult race, there will be the 2nd race in the TriPurbeck junior triathlon series held entirely within the gounds of the Purbeck Sports Centre. The bike route is mostly on very quiet country lanes and will be well marshalled and signed. The run takes place in the grounds of the Purbeck Sports Centre and should make for good spectating! Registration is open from 7am. PS. Helen wonders if you publish times as she wanted to see how much faster Liz was on the bike to give her something to aim for…..and probably to admire her swim time a wee bit too….